Aaron Blum Wolowicz was born October 19, 1898 in Chicago, Illinois, the son of Eva (née Blum) and Jacob Wolowicz, Ashkenazi Jews from the Suwałki region of Poland who changed their surname to Wallis. His family moved in 1922 to Los Angeles, California, where he found work as part of the publicity department at Warner Bros. in 1923. Within a few years, Wallis became involved in the production end of the business and would eventually become head of production at Warner. In a career that spanned more than 50 years, he was involved with the production of more than 400 feature-length movies. Among the more significant movies he produced were Casablanca, Dark Victory, The Adventures of Robin Hood, The Maltese Falcon, Sergeant York, and Now, Voyager. 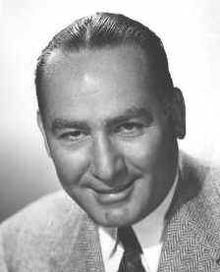 Hal Wallis left Warner Bros. in 1944, after a clash with Jack L. Warner over Warner’s acceptance of the Best Picture Oscar for Casablanca, to work as an independent producer, enjoying considerable success both commercially and critically. The first screenwriters he hired for his new enterprise were Ayn Rand and Lillian Hellman. Among his financial hits were the Dean Martin and Jerry Lewis comedies, and several of Elvis Presley’s movies. He produced True Grit, for which John Wayne won the Academy Award for Best Actor of 1969, and its sequel. After moving to Universal Pictures, he produced Mary, Queen of Scots (starring Vanessa Redgrave and Glenda Jackson) and Anne of the Thousand Days (starring Richard Burton and Canadian-born actress Geneviève Bujold). He received 16 Academy Award producer nominations for Best Picture, winning for Casablanca in 1943. For his consistently high quality of motion picture production, he was twice honored with the Academy Awards’ Irving G. Thalberg Memorial Award. He was also nominated for seven Golden Globe awards, twice winning awards for Best Picture. 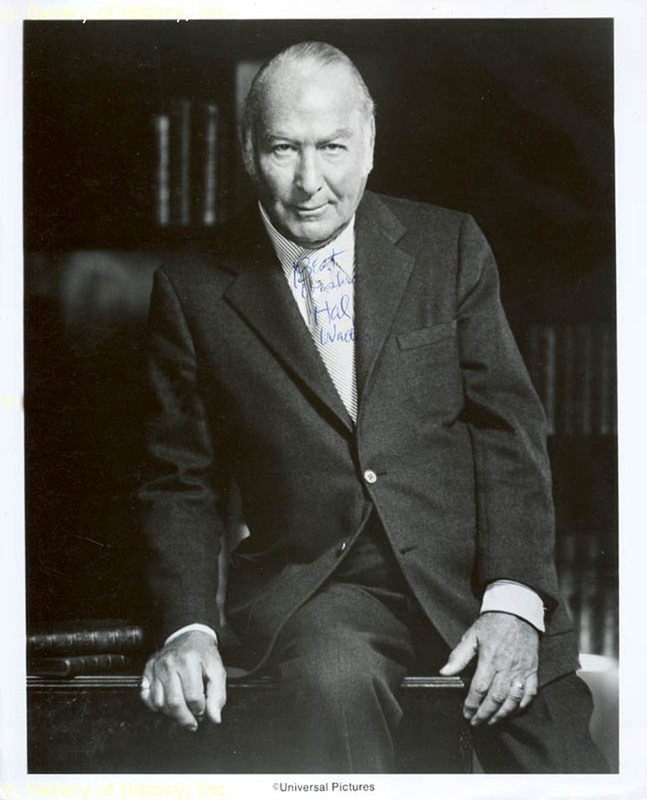 In 1975, he received the Golden Globe Cecil B. DeMille Award for lifetime achievement in motion pictures. In 1980, Hal Wallis published his autobiography, Starmaker, cowritten with Charles Higham. In the 1930s Mr. Wallis used his investment dollars to develop residential real estate in Sherman Oaks. He named one of the streets after himself using his nickname “Hal” and his nick-middle name “Brent”. Halbrent Avenue, Sherman Oaks, CA is the street and most of the original homes are still standing today. Its very close to Ventura and Sepulveda Boulevards near the infamous Sherman Oaks Galleria used extensively in the 1982 movie romp Fast Times at Ridgemont High. Hal Wallis died in 1986 of complications of diabetes in Rancho Mirage, California, at the age of 87. News of his passing was not released until after his private memorial service was completed. U.S. President Ronald W. Reagan sent condolences to the family. Wallis is interred in a crypt at the Great Mausoleum at Forest Lawn Memorial Park Cemetery in Glendale, California.